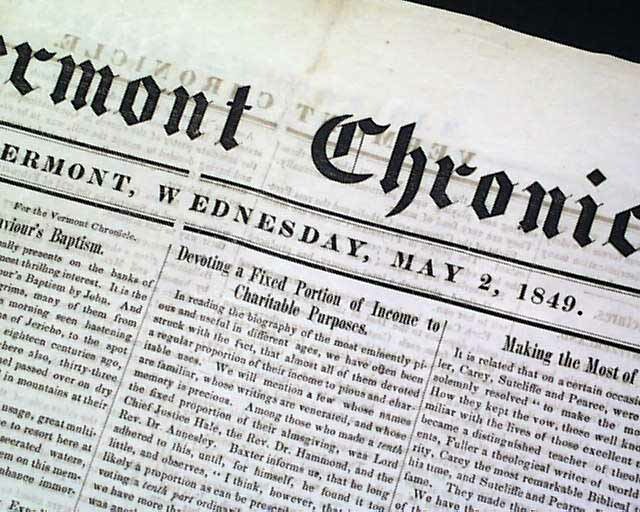 This Vermont newspaper has both religious/Christian-themed news along with general news of the day. 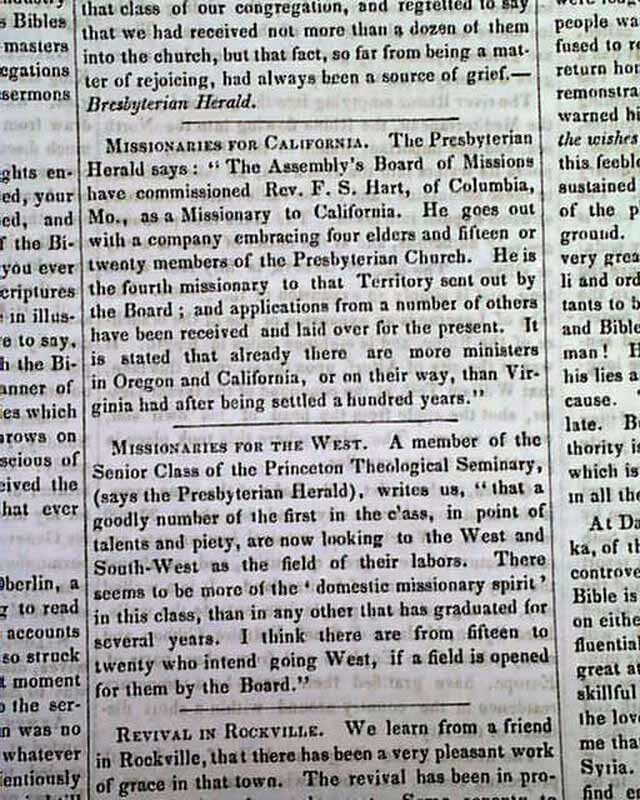 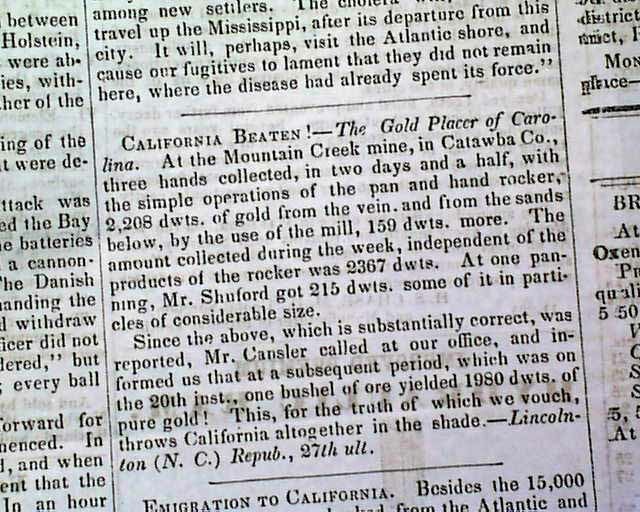 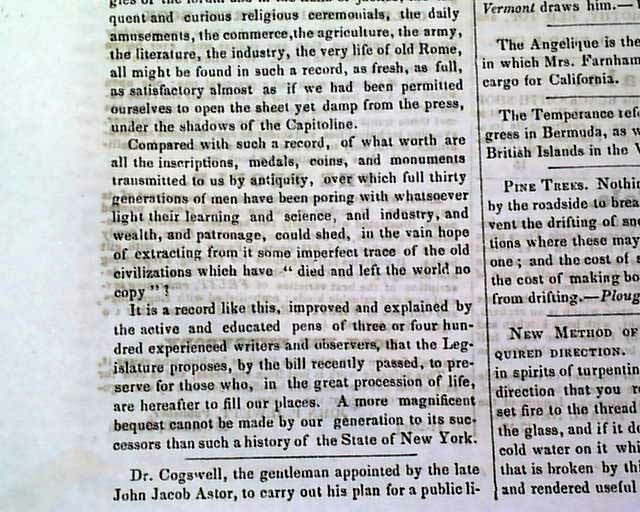 Page 3 has coverage related to the gold rush era, "California Beaten" and "Emigration to California", as does page 1, "Missionaries For California" and "Missionaries For The West" (see images). 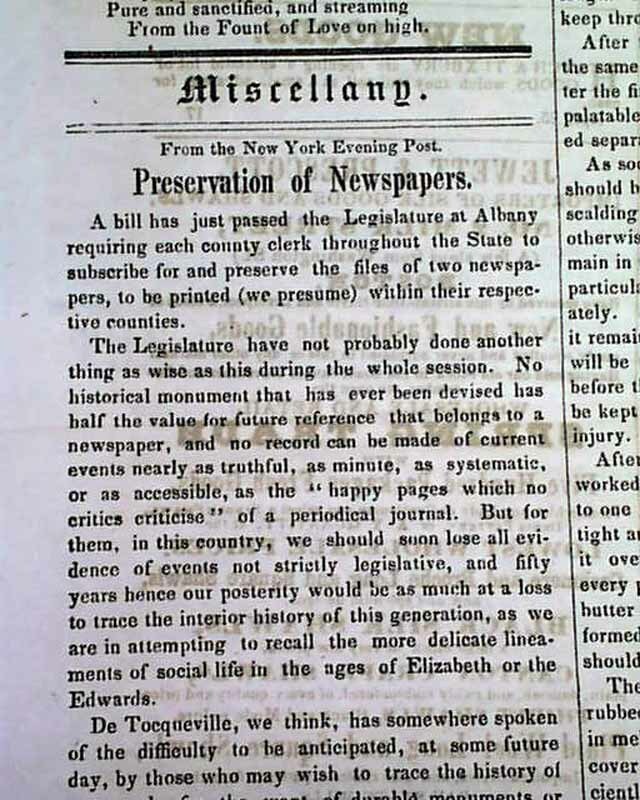 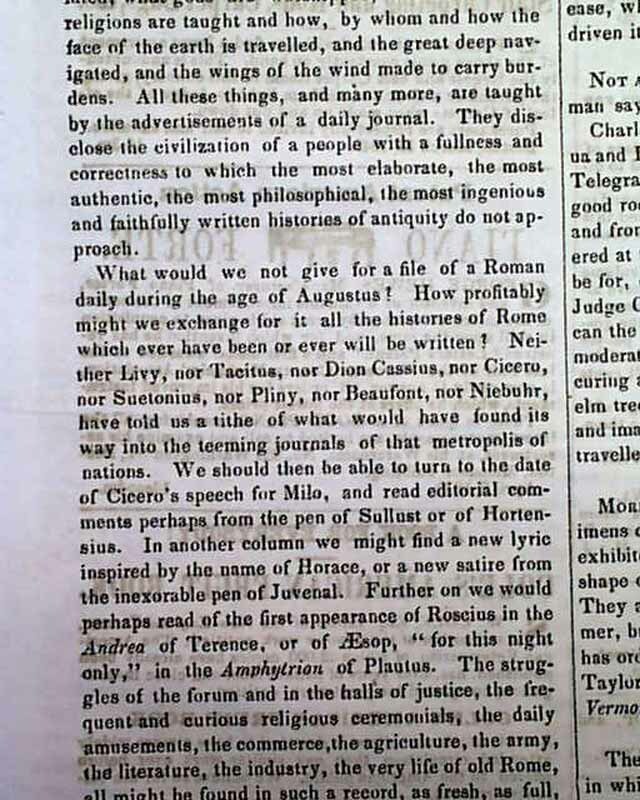 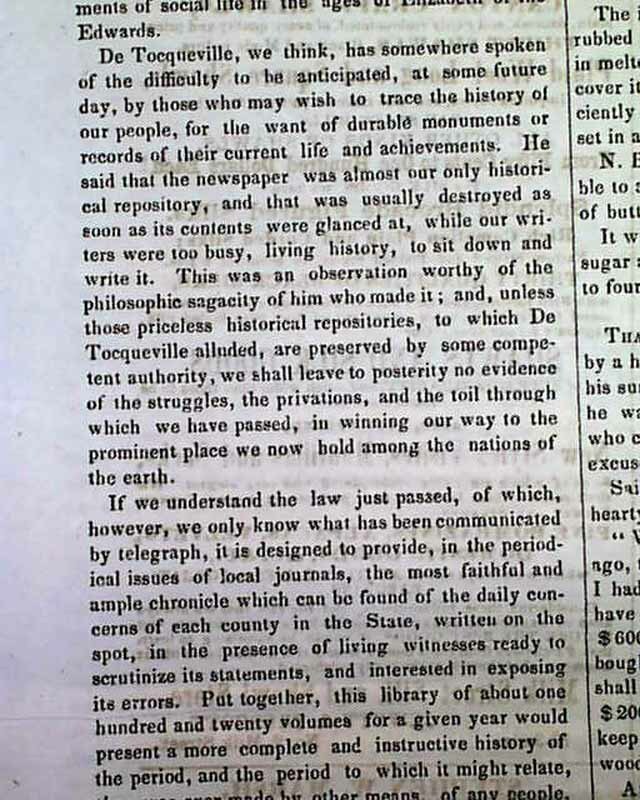 Page four has an unrelated but interesting article regarding the importance and preservation of newspapers: "Preservation of Newspapers". 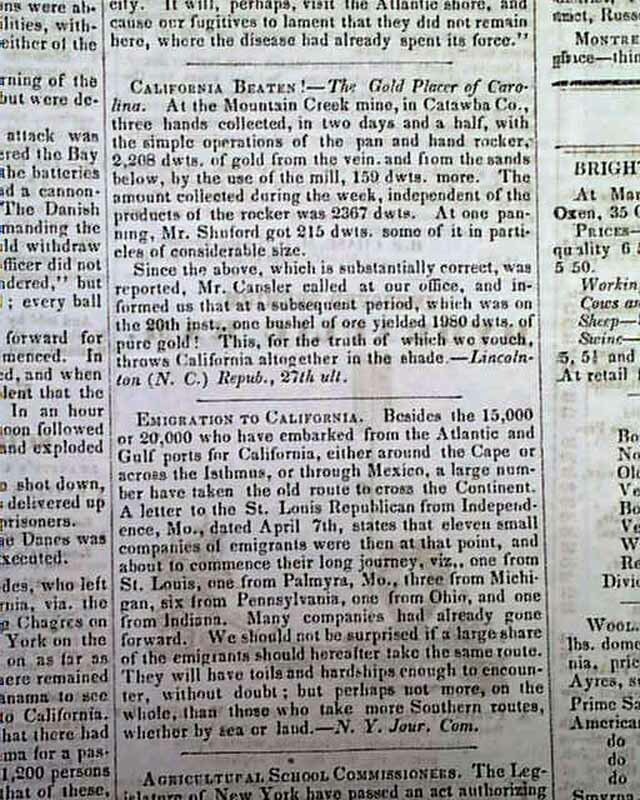 Additional news of the day with period advertising throughout. 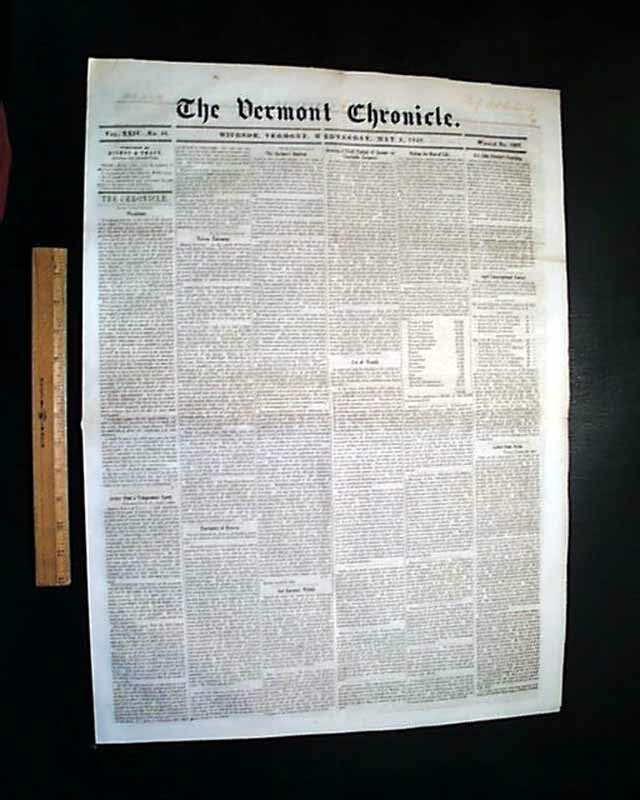 Complete in 4 pages, minor fold wear, in overall good condition due to the use of high-quality rag paper during this period in newspaper printing.